Christchurch City Libraries has a wide variety of collections including archives and various special and reference collections and a growing collection of online resources. The Bestseller Collection consists of only the biggest sellers of the moment: books that are heavily advertised and are available in local bookstores. They are mostly fiction titles but some non-fiction bestsellers are here as well. These items must be issued and paid for before they are viewed or used in the library or are taken home. Bestseller items are issued for 7 days and have Bestseller charges. Holds cannot be placed on items in the Bestseller Collection. Holds are able to be placed on a copy of the same title held in the general collection. The Bestseller Collection works independently of the general collection and the choice of using it is yours. Search our catalogue for items in the Bestseller Collection. Our libraries have children’s CD-ROMs that you can borrow for free. The DVD collection includes classic and contemporary films, comedy, musicals, art house movies and television shows. Children’s DVDs are also available at all of our libraries. Non-fiction DVDs such as documentary films and series, and learning resources are shelved alongside the books on those topics. Charges and loan periods for DVDs. Search our catalogue for DVDs. Search our catalogue for Children’s DVDs. eBooks. eAudiobooks, and eMagazines are available to library members through our eResources. Please note not all eBooks are downloadable. Askews, OverDrive and Wheelers offer downloadable eBooks. Other vendors supply books that you can read online, these include Safari, Credo Reference, Tumblebooks, Gale Virtual Reference Library and Oxford Reference. Our page on eBooks, eAudiobooks, and eMagazines. See our FAQs for more about using our eBooks. All our libraries (except the Mobile Library) hold one copy of each of the Canterbury-Christchurch general electoral rolls, plus Te Tai Tonga (Māori) electoral roll. Tuakiri | Identity, Level 2, Tūranga will hold a complete set of all the current New Zealand electoral rolls. All our libraries (except the Mobile Library) hold one copy of each of the local body rolls for the Christchurch City Council wards. A preliminary set is published about a month prior to the local body elections; this is replaced closer to election time by the definitive rolls. For Information about historical electoral rolls, check our Family History - Electoral Rolls page. This collection includes Adult Literacy and English language skills resources. It is a special collection of books and other resources to help people develop their reading and writing skills. It is also used by newcomers learning English. These resources are found in most of our larger libraries and online. All our libraries hold extensive fiction collections for adults, children and young adults. Fiction is also held in other formats such as audiobooks, eBooks and large print and in languages other than English. Fiction books are shelved in alphabetical order by author’s surname. In some libraries the fiction is shelved alphabetically in categories e.g. mystery, adventure. Find out about games and gaming consoles available in some of our libraries. See the websites and games for fun and learning that we link to on the kids' computers at your local library. Children's computers are available at all of our branches except Diamond Harbour, Little River, Mobile Library, and Parklands. A comprehensive range of Central and Local Government publications including Parliamentary papers, legislation, statistics, official reports, annual plans and annual reports, district schemes and other planning documents. Some relevant material from this collection will be available at Tūranga. Some early, fragile items in the collection are only available to view by appointment at our Archives collection. Graphic novels and comics can be found at all of our libraries in a range of topics and genres, from manga and superhero titles to biographies and memoirs in comic form. We collect graphic novels by New Zealand and international authors and have a variety of material suitable for adults and younger readers. Jigsaws are available for exchange at the following libraries: Akaroa, Aranui, Fendalton [closed until Mondy 29 July 2019], Te Hāpua: Halswell Centre, Linwood, Little River, Matuku Takotako:Sumner Centre, New Brighton, Ōrauwhata: Bishopdale Library and Community Centre, Papanui, Redwood, Shirley, South and Spreydon. Hornby Library jigsaws are held at the Community Care shop in the same building. The Community Care shop is open Monday to Friday, 9:30am – 3:30pm. A range of fiction and non-fiction titles is available in large print. You can restrict your searches of our catalogue to only show results for Large Print by using the format section in our Advanced Search. A list of new Large Print titles is released each month as part of our New Titles. A wide range of magazine content including New Zealand magazines can also be accessed online through our eResources. Material on Māori subjects or which present a Māori perspective on a subject, or by authors who identify as Māori and Māori language publications. A significant collection will be located in Tūranga. This includes material published by, or relating to, Ngāi Tahu as tangata whenua including Ngāi Tahu Claim information. All our libraries have Ngā Pounamu Māori collections including material in te reo Māori. Memory bags can be beneficial for people with dementia. The memory bags contain a selection of objects chosen to help stimulate the senses and promote reminiscing and discussion. Find out more about memory bags. All our libraries hold non-fiction collections for adults, young adult, and children. All libraries have a wide range of biographies. Non-fiction is also held in other formats such as audiobooks, ebooks and large print. Non-fiction books are shelved in numerical order using the Dewey Decimal Classification system. The number given to each book is shown on its spine. Material which provides access to Pacific knowledge, heritage and identity, with a particular focus on helping Pacific Islanders retain their language and culture. This is a separate collection found only at Aranui Library and on Tuakiri | Identity, Level 2,Tūranga. Some of the same material is found within the general collections held in all our libraries. Current New Zealand Standards (NZS), and joint Australian/New Zealand Standards (AS/NZS) are available online at any of our libraries. 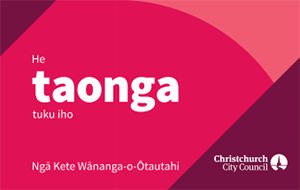 Print copies will be able to be borrowed on Tūhuratanga | Discovery, Level 3, Tūranga or requested from any of our community libraries. New Zealand telephone directories are held at all libraries, except the Mobile Library. Many directories are also available online. Collections of fiction, non-fiction, graphic novels and magazines for young adults, are held at all libraries. See our browse teens page for access to our range of resources for teens. Which libraries hold electoral rolls? Why isn’t Zoomify working with the library’s digital maps? What is the Reading in Mind book scheme?